I recently discovered the website Japanese level up by a guy named Adam. It has been around for a few years but I never gave it the attention it deserved. Which really was a mistake. Apart from lots of motivational articles and road lines on what to expect of your Japanese studies (which are a little hit and miss) he did some fantastic flashcards for learning Japanese. Each level (beginner, intermediate, expert, master) consists of 1000 cards. And after the beginner level, each card is entirely in Japanese. I haven’t encountered that J-J approach for learning new vocab in any other pack before. Sure, it’s heavily inspired by the website All-Japanese-all-the-time but to make professional, voiced cards in J-J available is a novum for me. Starting from the ground up each flashcard is introducing one new item that you learn and only consists of previously learned items otherwise. That way you always know that you need to be fully able to understand each part of a card. Regardless if it’s about grammar or vocab. I’m currently starting from scratch again and bought the beginner pack. Through iTunes. I have been searching for an “effortless” way to brush up on my Japanese. Something that allows me to have a daily study routine on the side that isn’t very time-consuming but still effective and versatile. It’s difficult to find something like that. It’s either just vocab or just grammar or just Kanji. What Adam’s cards are doing so right is that mix of grammar and vocab. And his approach to teaching real-life Japanese. Not just the polite basics and short forms that you find everywhere but a little “slang” in between. And the great part is that you can just “touch” each part of a sentence to directly go to the card where you learned that specific item. Be it a gramaticall term or vocab. Everything you learn, you learn as part of a whole sentence. And everything you learn is practical Japanese. Stuff you actually will encounter again. Apart from using the cards themselves with a build in SRS, there are also stories available and the function to listen to all the cards you learned. I’m always thinking that when I finally have a car of my own (ideally with Carplay) I can just start the app and listen to all the stuff I went through on my daily commute. Ok, I could do this on my daily commute by bike as well but I’d rather stick to my podcasts for now. Adam launched his new iOS / Android Apps last summer, which are fully voiced (with a very lovely Japanese voice as well). It all started with pre-made Anki decks but the new App versions (after a little intermezzo with an online version called JALUP-Next) are much more convenient. I really love these cards, they are just so well made and definitely worth the price, which is a little steep (130€ for a 1000 cards). But they are pure quality and alongside Genki (which is still great to have for the grammar taught in the decks) it’s a perfect pair. 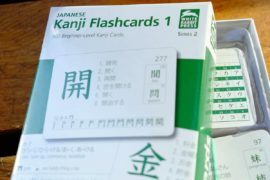 The grammar points introduced in the beginner deck are even more or less in the same order as in the Genki textbooks so you can easily get a more in-depth explanation if you need one (of course there are countless online resources but I still think nothing beats a good textbook as a resource). 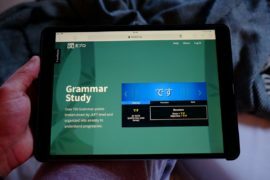 Go through the JALUP beginner deck and make yourself notes for each grammar point that you’re struggling with or which just is a tad too complex to be grasped from the flashcard alone. Practice it with the flashcard of the beginner deck but make sure to just get a little more background knowledge with Genki. What I always recommend: Take notes for yourself. Write the key points down for yourself in your own words and maybe even include a picture/screenshot/scan from the resource that helped you to understand it in the first place. That way you’re building a near little reference book for yourself and you’ll be learning much much faster. At least for me, it’s the worth the effort. I’m using Agenda, a wonderfully designed note-taking app for iOS and OSX. There is always Bear and the built-in Apple Notes App (I can always only speak for the Apple eco-system, sorry) but Agenda has been my go-to notes App since October. 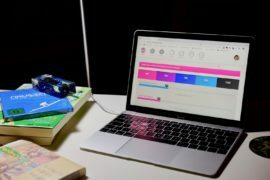 It looks amazing, it allows you to make beautiful lists and the styling with different paragraphs and finally the ability to include images makes it the perfect tool for me. After all, it doesn’t hurt that the styling is heavily inspired by Things (another App I really love for my daily workflow and really helps me to focus on the things that matter). In the end, it doesn’t matter what you use the only thing that counts is that you’re taking notes for yourself. Not for everything and just a few words and maybe a picture of the example sentences or the conjugation are more than enough. That way you can quickly look things up in a very comprised and effective way. 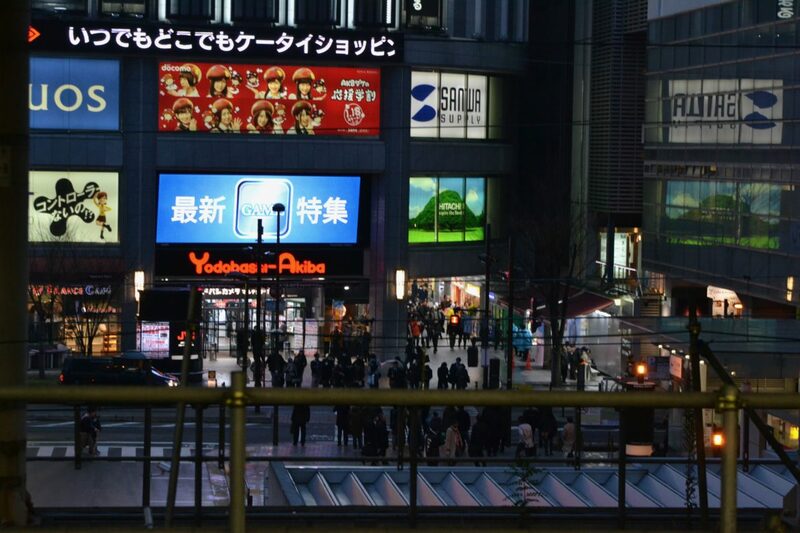 Just head over to Adam’s website Japanese-level-up or just download the App and give it a try. The first 100 cards of each deck are free and should give you a pretty good idea what the whole system is all about. It’s how everything started for me as well and after finishing the first bunch I decided to take to plunge and just invest in my Japanese. I know 130€ is steep, I was struggling as well, but these cards are really so well made and efficient that they are worth every penny. And when do you have the possibility to directly get in touch with the author of your textbook? Like always please let me know your thoughts in the comments. Would love to hear from JALUP veterans and their journey.